While I’m spending time with family this summer my sister and I decided to take a road trip mini vacation to Jasper. Hoping to avoid the biggest crowds we left Calgary on Tuesday and returned Friday. 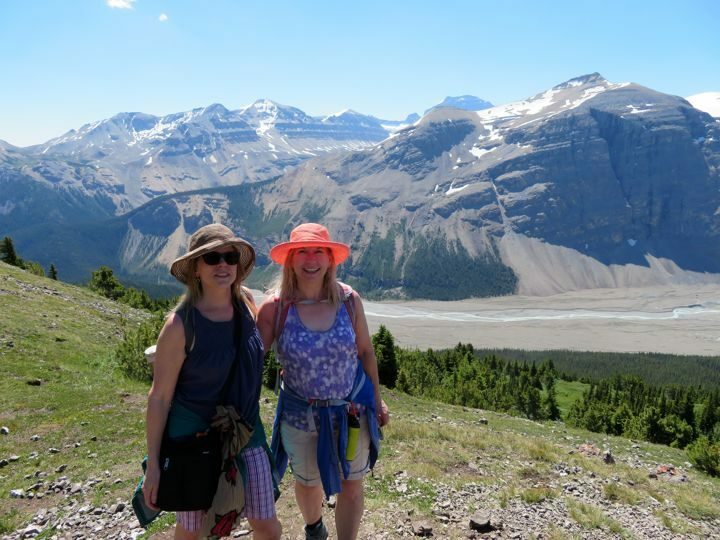 While planning our 4 day Jasper getaway we looked for a great day hike on the way to Jasper from Banff. 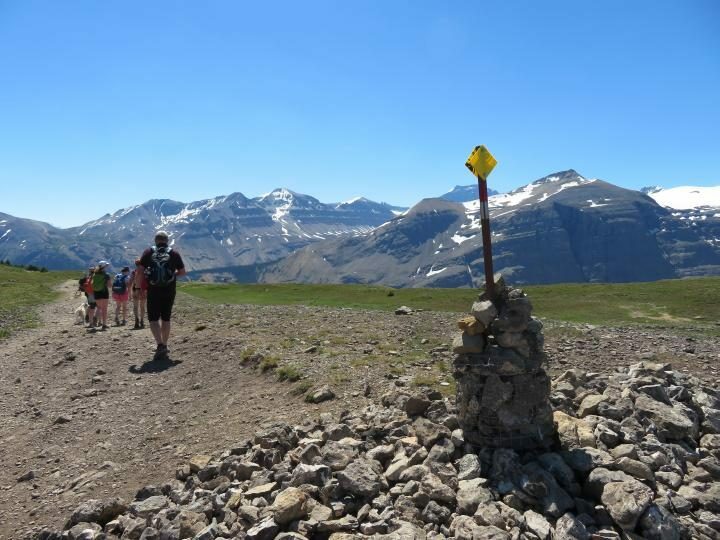 We found Parker Ridge Trail 115 km (71 miles) south of Jasper on the Icefields Parkway (Hwy 93). 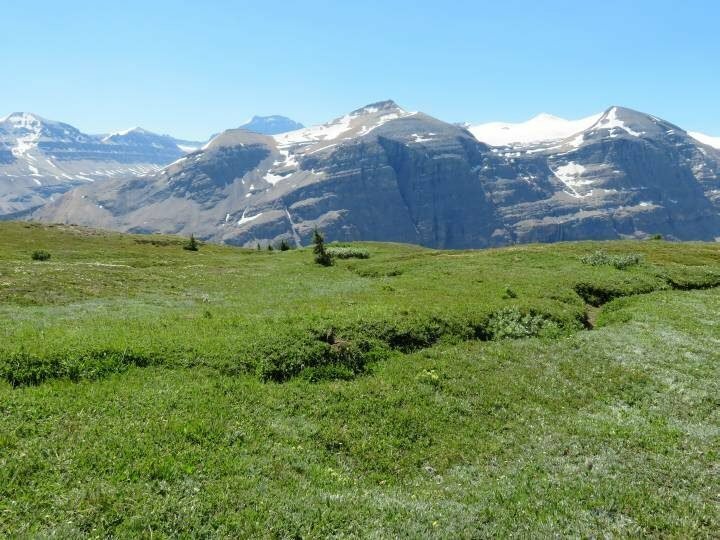 Parker Ridge is an easy hike with incredible panoramic views of the mountains and Saskatchewan Glacier! 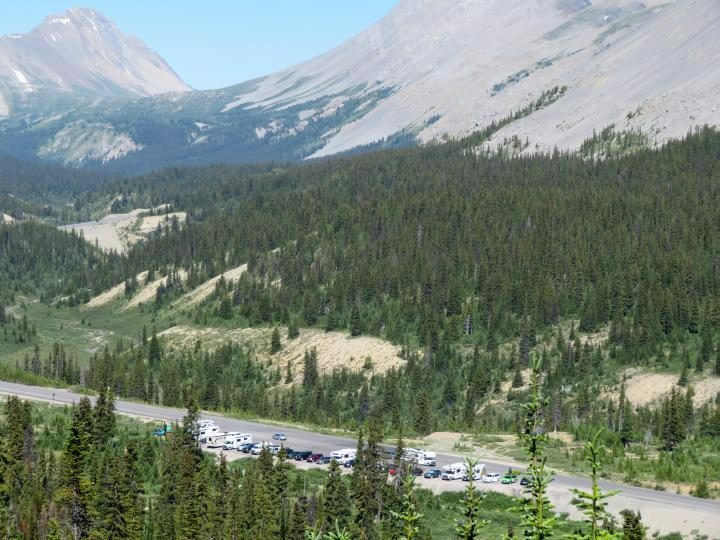 It’s a perfect place to stop on the Icefields Parkway to stretch your legs and enjoy a picnic lunch with a priceless view. There are spectacular views and great picnic areas in the alpine meadows along the trail at Parker Ridge. It’s a perfect stop on the way to Jasper. 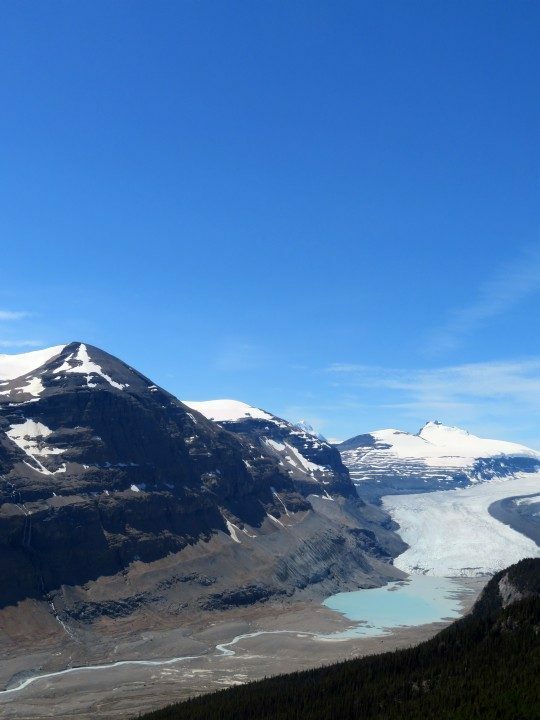 Okay there are several perfect stops along Alberta’s Icefields Parkway road in the Rocky Mountains. I made a point of visiting some of the glacier lakes on my road trip from Vancouver to Calgary a couple years ago. 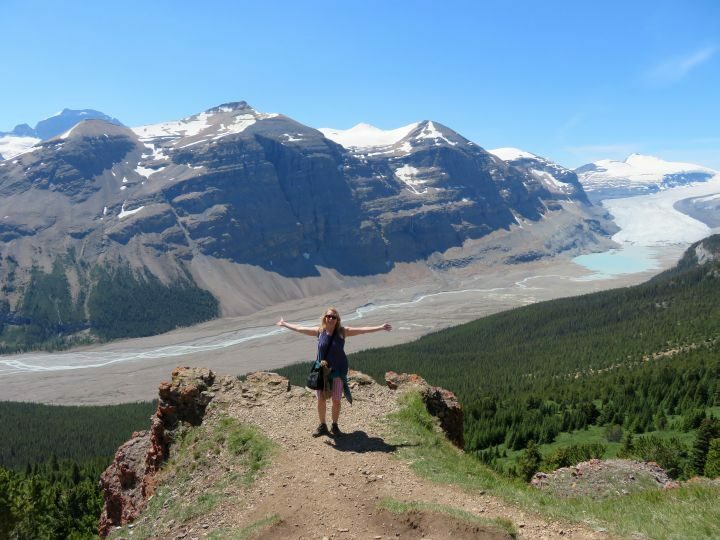 The Bow Summit hike to Peyto overlook is one of my favorites. 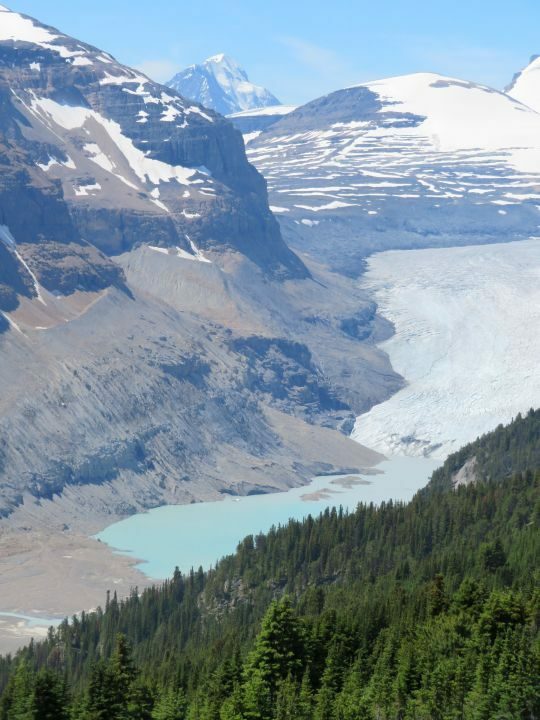 Sunwapta Falls and Athabasca Falls are also worthy of a stop along Hwy 93 Icefields Parkway. Driving from Calgary to Jasper takes around five hours so it’s nice to get out and stretch the legs. Parker Ridge hike is a great choice for some mountain meditation time. I suggest bringing a picnic lunch or at least some snacks, and water of course. Also bring the bug spray unless you want to be eaten alive by the mosquitoes. And bring bear spray because this is bear country. We didn’t see any bears on the trail but you need to be prepared. Check out this short video of the view from the perfect picnic spot at Parker Ridge trail. 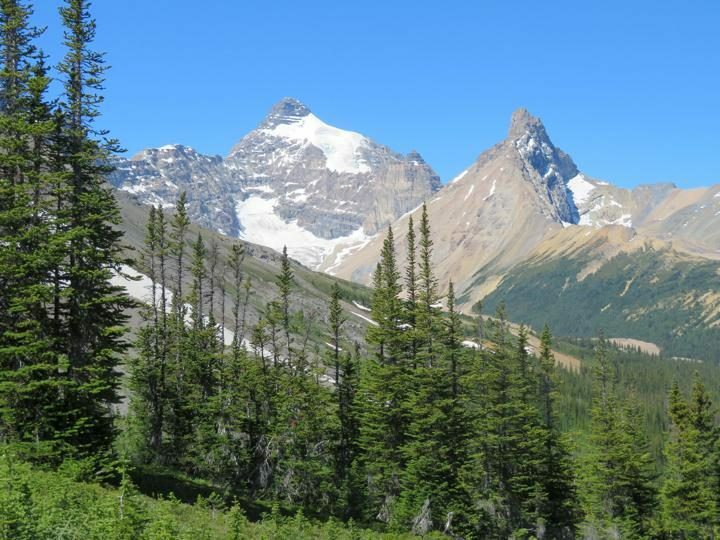 Although Parker Ridge is closer to Jasper than Banff it is located within Banff National Park boundary. It’s at the far north of the park. To get to Parker Ridge trailhead is easy. 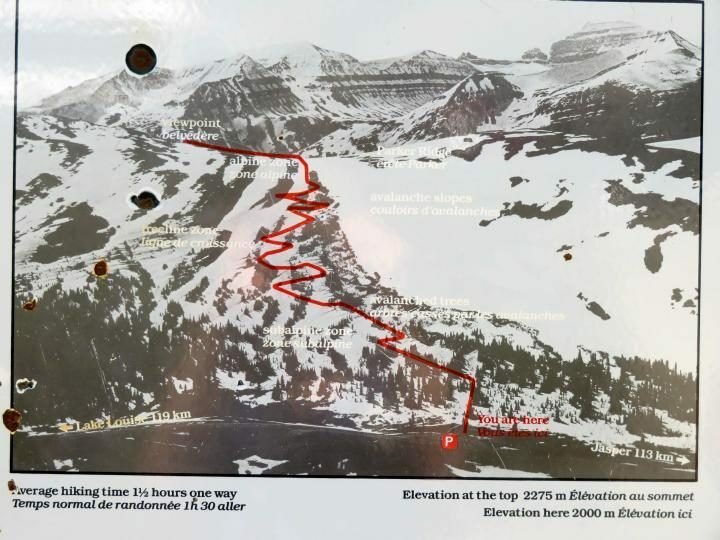 It’s 120 km (75 miles) from Lake Louise on Hwy 93 Icefields Parkway. The parking lot is on the west side of the highway before you get to Columbia Icefield Discovery Center. 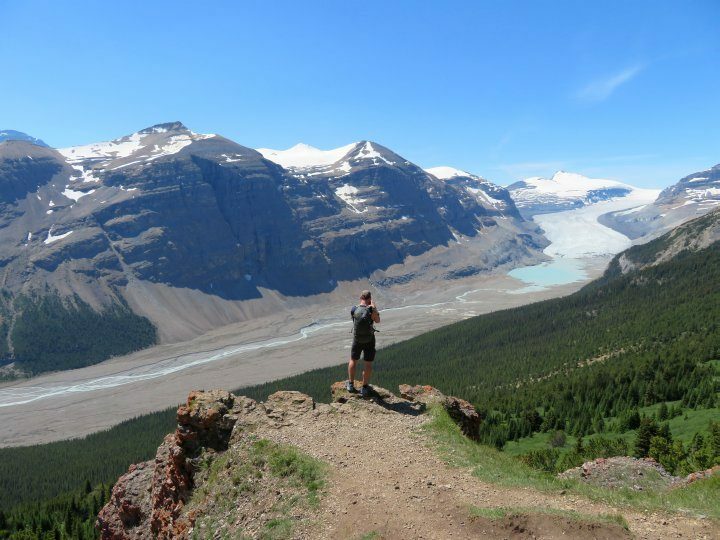 Parker Ridge hike is 5.4 km (3.4 miles) with an elevation gain of 250 m (820 ft) and it’s a fairly easy hike. 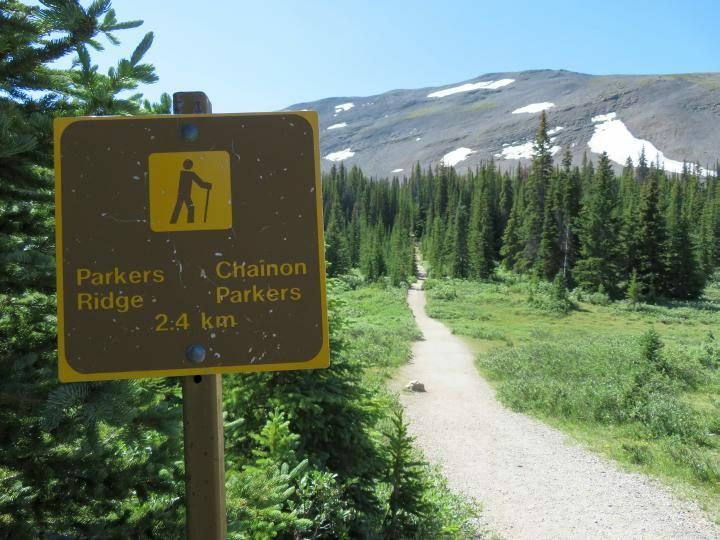 There is a little discrepancy between Parks Canada online description and the signage at Parker Ridge trailhead as to the length of the trail. It’s either 4.8 km or 5.4 km round trip. There are several switchbacks at the start of the trail. This is where most of the elevation gain takes place. Since there is little shade on this trail be prepared with sunscreen and wear a hat. 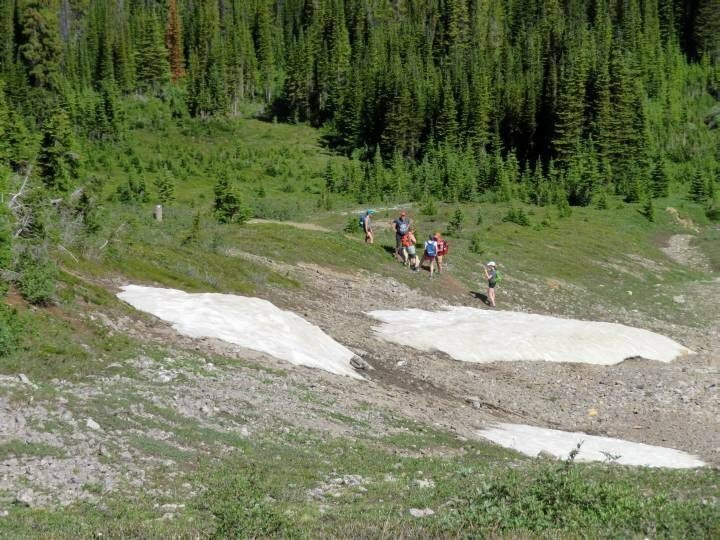 In July there’s still snow on the ground not far from the trail. Lots of alpine flowers blooming in the meadows and a few butterflies collecting nectar. 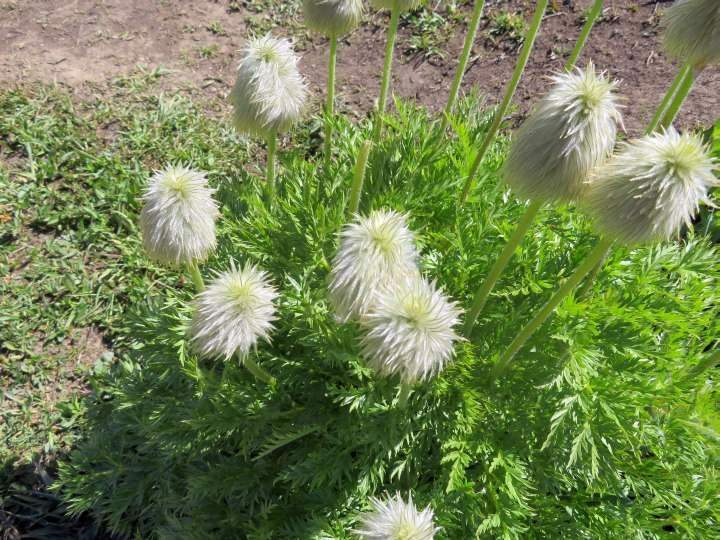 There were some puffy flowers or seed puff balls? Not sure what these plants are but there are interesting. EDIT: Brian Crawford (a fellow hiker I met at Brown Lowery Provincial Park) informed me these are the seed heads of the Western Anemone wildflower. After the series of switchbacks watch for the trail marker. We almost went the opposite direction along another trail. No doubt there are stunning views along the other trails but we wanted to stick with the known trail. Enjoy stunning vistas all along the trail. 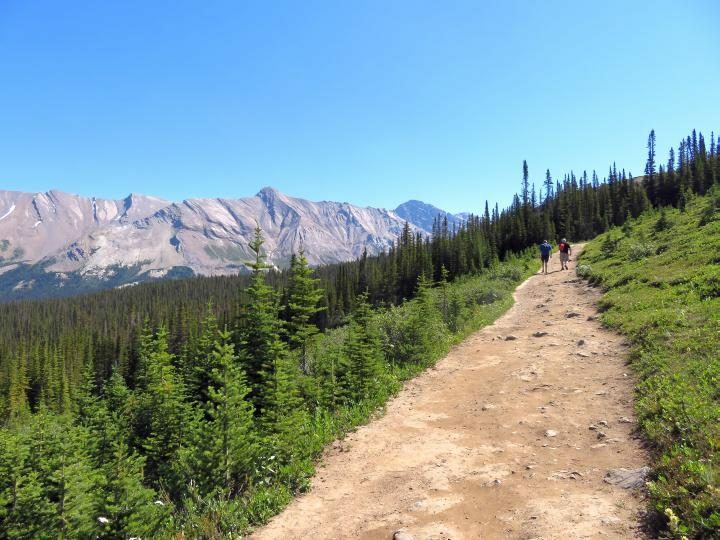 Parker Ridge hike provides great panoramic views of the mountains. 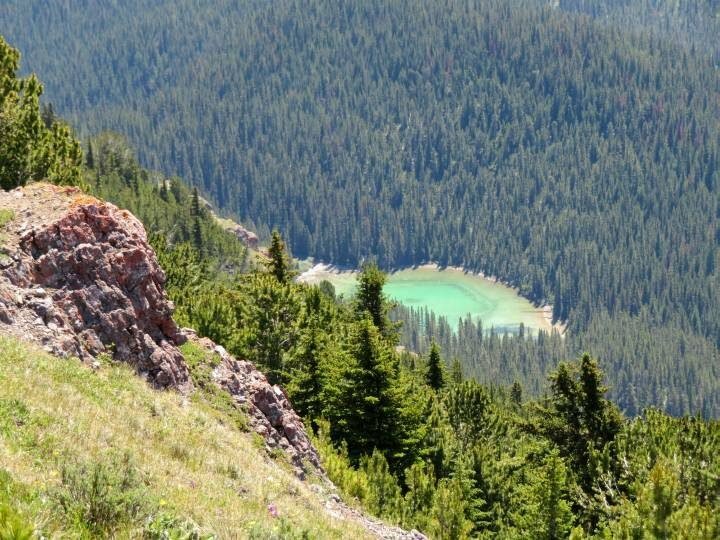 A small glacial lake can be seen in the valley of Parker Ridge hike. 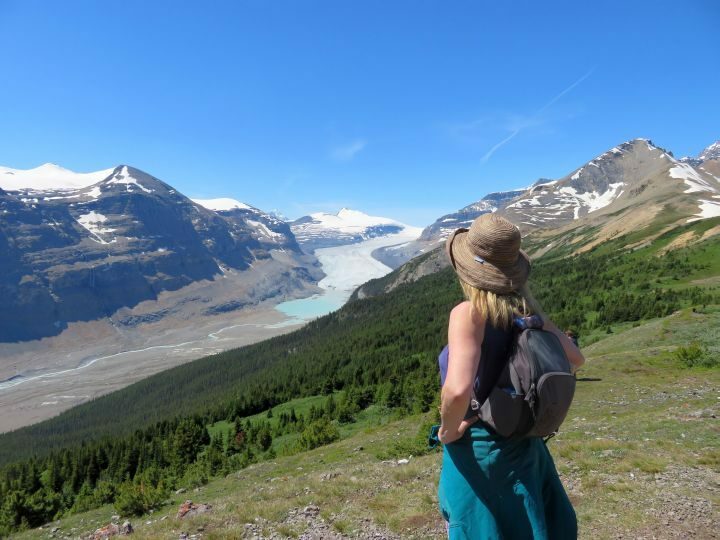 Not long into the hike there is a spectacular view of the Saskatchewan Glacier, the largest glacier in the Columbia Icefield. This is the headwaters to the Saskatchewan River. There is a large meadow at this overlook. A lot of people stopped here to enjoy a picnic lunch. Continuing on the trail there is another lookout with another extraordinary view of the glacier. The panoramic views on Parker Ridge trail are amazing. I was not so confident as this guy pictured below. He is standing right on the edge of the overlook. Me, no thank you! I prefer a buffer zone between me and any sharp drop to the canyon below. You may notice a sharp whistle sound while hiking along the alpine meadows. Look for the cute and chubby profile of the Columbian ground squirrel. I researched the sound to find out why they call out so often. 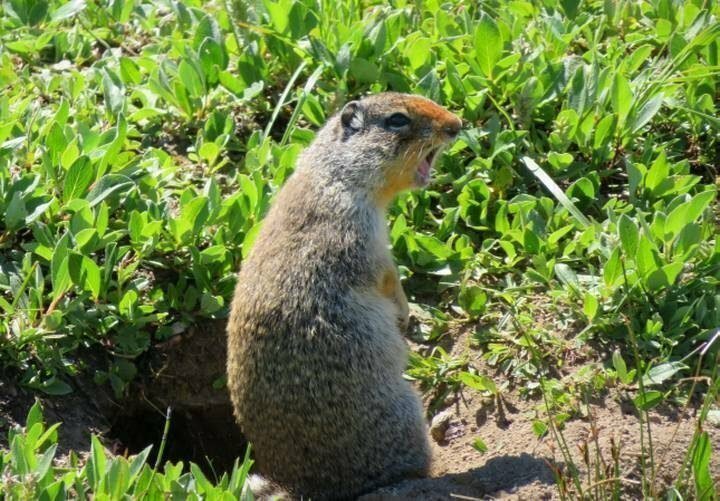 Columbian ground squirrel – is he yelling for Allen? Turns out the males like to do a little vocalization after copulation according to this University of Calgary study. After the switchbacks the trail is basically straight and elevation gain is gradual. Until the last bit of the hike. The trail narrows near the summit and it can be a bit daunting. There are a lot of rocks on the trail for the last 100 meters so proper hiking footwear is a must on this hike. It gets very windy at the summit. Also be prepared for all types of weather as it can change rapidly in the mountains. Pack some rain gear and warmer clothes on your hike. 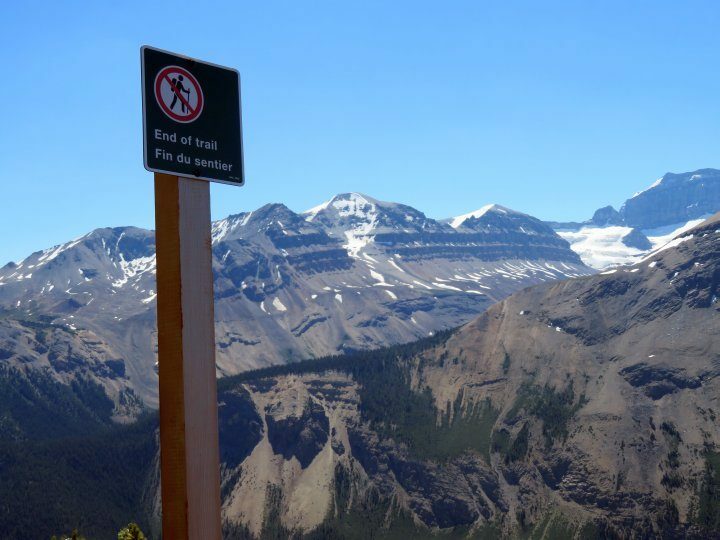 Parker Ridge trail summit sign – end of trail – you made it! Dogs must be on leash at all times on the trail. What a gorgeous hike to take. It looks cold which right now would be a delight. But from reading all this great information I know it isn’t but be ready for changes. Nice time for you and your sister.